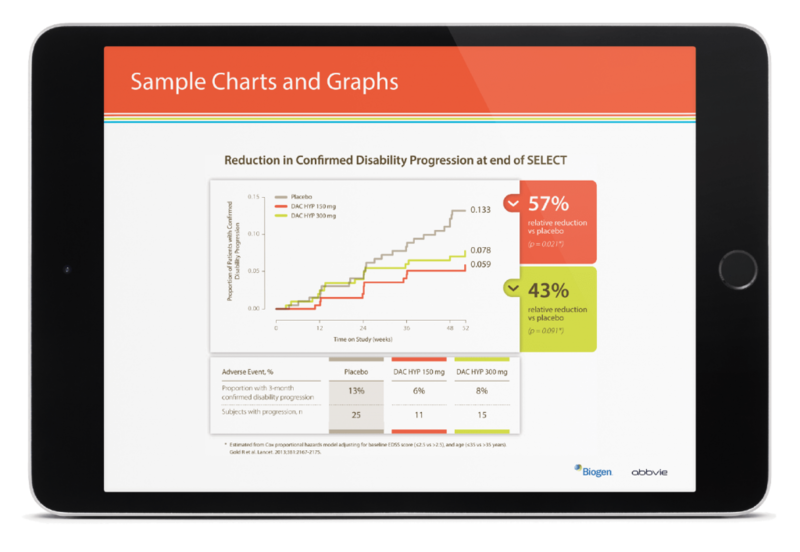 Biogen, a leader in multiple sclerosis (MS) research and treatment, was in need of establishing a global brand identity for their new MS therapy, ZINBRYTA. Our task was to develop a brand identity that distinguishes ZINBRYTA from other MS therapies and works in domestic and global markets, including the EU and Russia. We designed a flexible and dynamic brand identity for ZINBRYTA and developed a brand kit for Biogen’s partner agencies around the world that provides clear guidance and tools for ensuring a strong global brand presence in multiple languages. A distinctive color palette was created to differentiate ZINBRYTA from other MS therapies and reflects the brand attributes of confidence, strength, and empowerment. The color palette was developed early on in the brand strategy phase and applied to the product design of ZINBRYTA’s delivery mechanism. 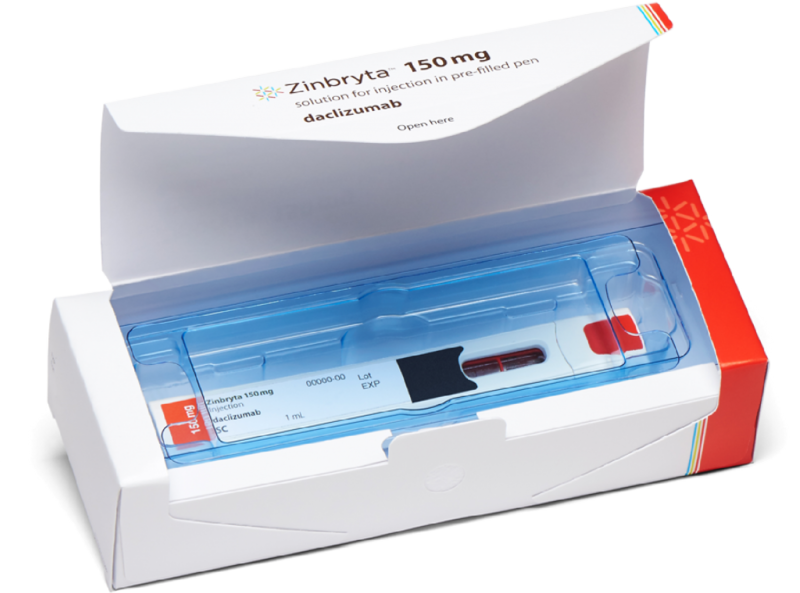 The ZINBRYTA logo communicates the distinct characteristics, regulatory requirements, and brand expression of ZINBRYTA. Multiple variations of the logo were created to address its use in context and media. Translations of the ZINBRYTA logo achieve consistency across a spectrum of languages. The ZINBRYTA brand identity included a comprehensive visual system of brand assets, including logos, typography, imagery, color palette, graphic elements, icons, information graphics, charts, and graphs created for future ZINBRYTA marketing communications and digital initiatives. We developed multiple user-friendly and easy-to-follow design templates to guide and ensure brand consistency in the development of ZINBRYTA training kits, packaging, and instructions-for-use leaflets in the US and EU markets. 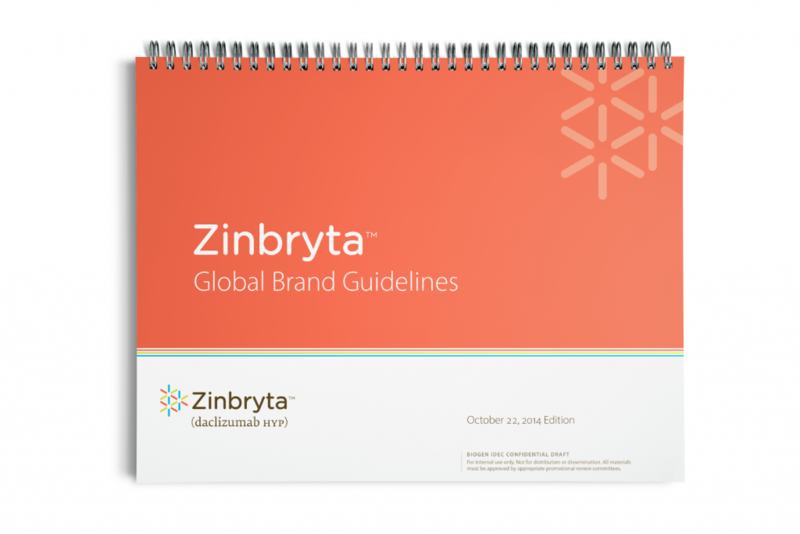 ZINBRYTA global brand guidelines offer guidance on the use and application of brand assets to ensure a cohesive and consistent brand presence across platforms, markets, and languages. Need help establishing a global brand identity?